Lenovo is famous for offering good batteries that usually last long. The battery is a major component of the laptop and dealing with a damaged battery is simply shutting away all the tasks. Also, it is difficult to find an appropriate replacement of your battery in the market and also seem costly. But we have decided to put a full stop to all your worries, by repairing your Lenovo battery in the least price possible at our Laptop Repair World. 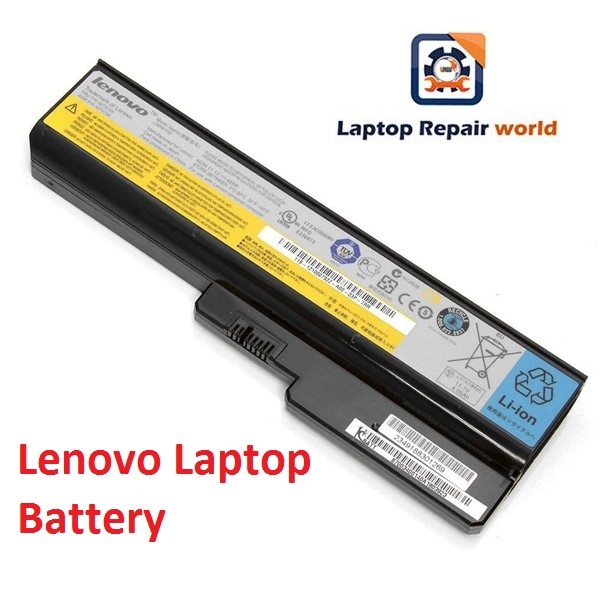 Batteries stock available for Lenovo Flex, Yoga, IdeaPad, ThinkPad, and ChomeBook. We have often seen people getting worried when the battery is under repair, as they don’t have a proper idea regarding the Laptop Battery replacement they just use some other cheap battery to use it further. But it would be a sheer waste of money for a petty little damage which can affect your product in the long term. We advise you to join us before taking any major decisions without proper knowledge. We look at your product first, examine it properly and then suggest you about repair of the battery. If we feel that the damage is beyond repair, then we guide you to purchase a new one only if it is genuinely required. The product replaced by us will work without any troubles for longer periods as we have past records of many such replacements and happy customers. Usually Lenovo batteries differ hugely with differing models, so there is a huge difference in the price too. Few models can be handled under the cost of Rs.3000, while few batteries are as costly as Rs.5000. Since, we understand the trouble of investing huge amount on basic components like batteries; we have been charging it at a price next to the range of wholesale prices. We value your time as much as you do, so our workers here tend to complete the task of repairing your product at full speed to avoid further damage of your laptop and also end up saving lot of time without creating any hurdles for your personal assignments. During the replacement of the laptop components, we always made sure that we replace any branded product with another compatible product of the same brand in most of the cases. This relaxes you from putting aside your chores and rushing for finding proper replacements. We would disclose all the prices of replacements and repairs earlier, so that you are left with time to take a proper decision. In many cases, we have also advised our customers to claim their warranty with Lenovo and also helped in doing that. So you need not to worry about putting useless expenses on your laptop as we safeguard your interests too. If you want to ask any questions here before reaching us, then please comment here in the section provided below so that we can have a healthy conversation regarding your damaged product.